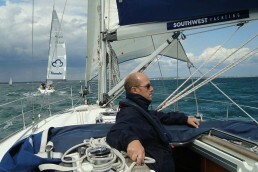 Southwest Yachting operates an on-going fleet replacement programme. All our yachts are maintained to the highest standards and are all coded to the safety standards specified by the Maritime Coastal Agency (MCA). 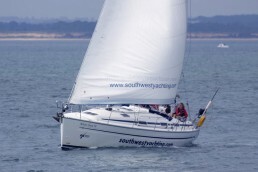 Southwest Yachting is proud of its fleet, which is amongst the finest in The Solent. 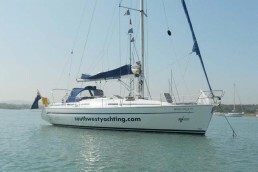 This beautiful Bavaria 38 named White Oryx IV was built in 2003. A fast and spacious performance cruiser, offering good accommodation in four separate cabins. She has been upgraded to the highest standards in 2019, and fully complies with the MCA Code of Practice Category 2.